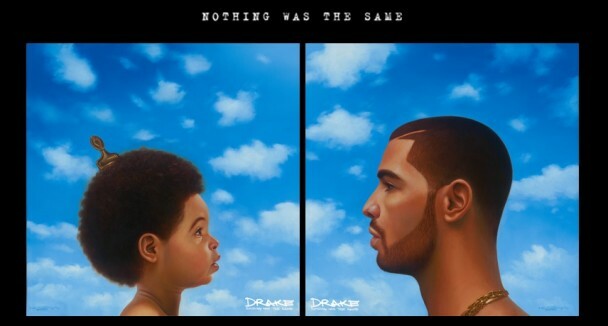 The wait was over for Drake fans when he finally released his new album Nothing Was The Same two weeks ago. Though leaked nine days before, the album still managed to sell about 658,179 copies in the first week. Drake was not really upset about the leak because he knew that typically happened with anticipated albums. He was just happy that his did not leak earlier than it did, as the timing of a leak could make or break an album. Containing a mere 15 songs, NWTS is nothing short of pure sensationalism that reflects on exactly what Drake has been through. Within every song there is pure substance, a story that is being unfolded. Collaborating with female vocalist Jhene Aiko in “From Time,” Drake reflects on his past romantic relationships mentioning one person in particular who he thought was always the piece to complete him. With a plethora of female references in his prior music, this is one statement from the Toronto rapper that would stand out to many. From family, to exes, to understanding your self-worth, Drake speaks to everyone who is willing to listen. Artists usually want their music to be a clear representation of who they are while remaining relatable to listeners. Drake never fails to attract audiences with his emotional appeal, though he is often criticized for being too emotional. But regardless of the subject matter of his songs “they’ll still play it though/cause it’s that new Drizzy Drake/that’s just the way it go,” Drake said in “Tuscan Leather,” the first track on NWTS. Whether you want to be intellectually stimulated, or just need music to cruise to, this album will fulfill all your needs. Drake recently stated in an interview that he doesn’t care about the numbers of this album, but will claim it as a success if people are still listening to it in the summer. Let’s see if Nothing Was The Same is still on people’s “Recently Played” list when June arrives.